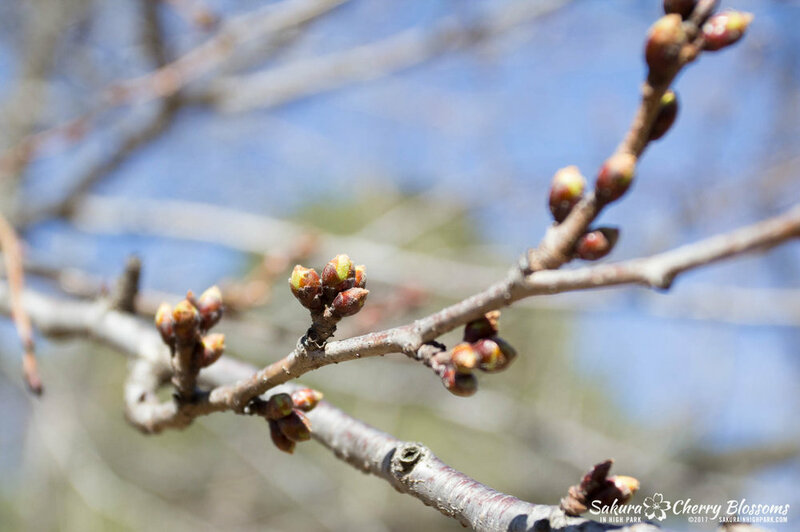 Sakura Watch, April 8, 2017 - buds show signs of progress as nearly all the sakura cherry blossom trees seen in High Park have entered the second stage of development. Telltale signs of green tops, bulbous round shapes and bronze coloured layered bases are clear indicators these buds are healthy and continue to grow. Yesterday we saw another blast of winter hit us with some snow and cold air temperatures. However, when I got to the park, the sun had melted any trace of winter. In addition to that is a forecast of warmer weather over the next few weeks which will only help even more. All the sakura cherry blossom trees have had plenty of precipitation to drink from the past couple weeks. 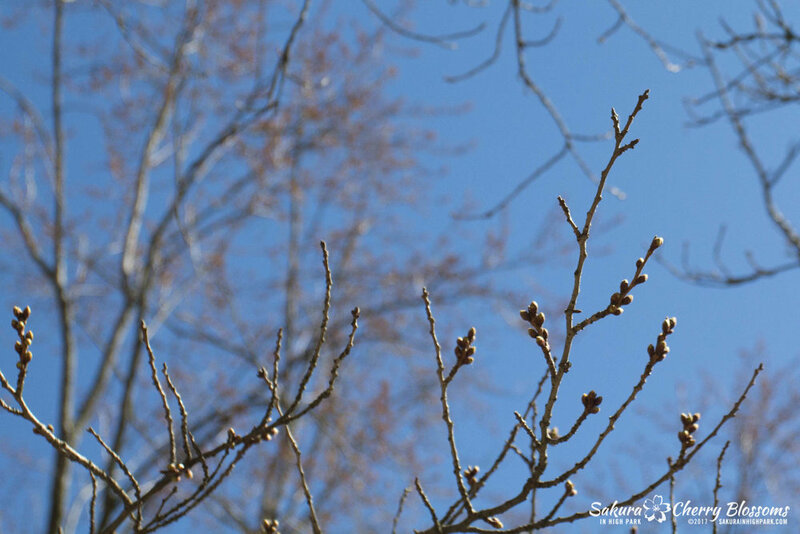 So now we're looking forward to more sunny, warmer days to help the buds along. 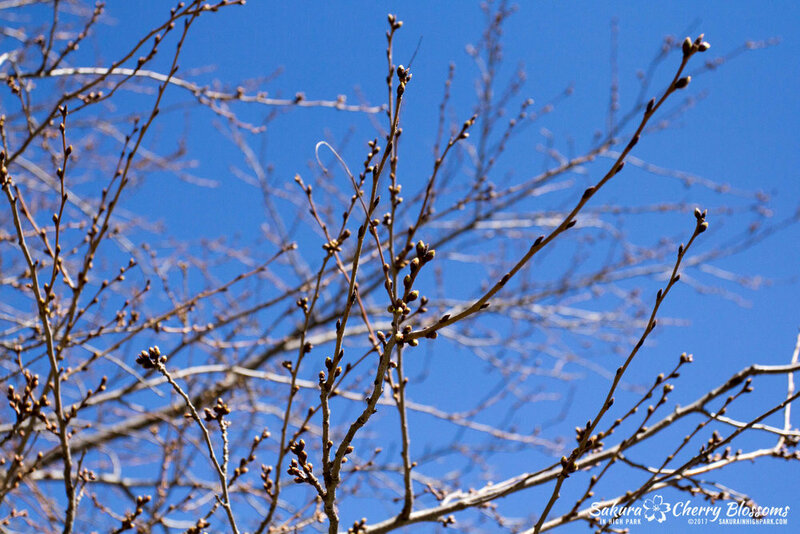 We've seen good progress from the sakura blossom buds over the past week and expect to see even more by the coming Easter weekend. Could we possibly see a jump to the third development stage? Will there be any holiday surprises in store? My next visit will be vital in determining the bloom timeline. The continued estimate is still early May for now. Check back for more updates next week!